Check out Heidi's custom made deer antler scrimshaw knives for an original Alaskan gift idea. ARE YOU A RESPONSIBLE CITIZEN AND PRODUCTIVE MEMBER OF THE COMMUNITY? Welcome to our links page. If you'd like to submit a reciprocal link here, please E-mail us with the url and we'll review it! The Landmark Trees Project is an effort to find, describe and understand the most magnificent remaining forests of Southeast Alaska. This site is great! 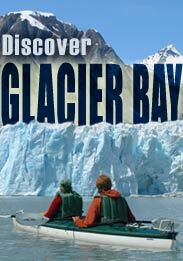 Comprehensive and accurate information for All Alaska's wildlife, including the animals found in Glacier Bay. Lots of helpful and informative information and links for Juneau- Alaskas great Capital City. The majority of Glacier Bay travelers spend a few days or more in Juneau before leaving for Gustavus. Alaskas Official State Sight. Facts, visitor and tourism info, business, jobs, fish and wildlife, licences, etc. Over 3,000 eagles gather along a four-mile stretch of the Chilkat River north of Haines, Alaska each fall to feed on a late run of salmon. This wildlife spectacle is the largest gathering of eagles in the world. Read, study, research, relax, gossip. The Gustavus Foxes volleyball team page. City council info, municipal codes, etc. At Halibut.net you'll find everything you've ever wanted to know about the largest flatfish in the ocean. Information, links, and listings for Alaskas Golf courses. A directory of Alaska fishing charters and other Alaskan resources from DestinationSeek.com. Resource site for everything to do with photography. Full of newsletters, articles, links and other resources - ALL FREE - in one easy to navigate site to save time and money. Resource site for everything to do with golf. Full of newsletters, articles, links and other resources - ALL FREE - in one easy to navigate site to save time and money. © 1998-2016 Gustavus.com Internet. All text, photo and design rights reserved. 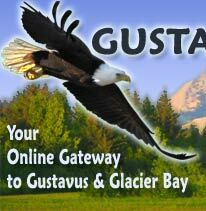 Gustavus.com is a Basecamp International domain... yet another fascinating Net105 Venture.